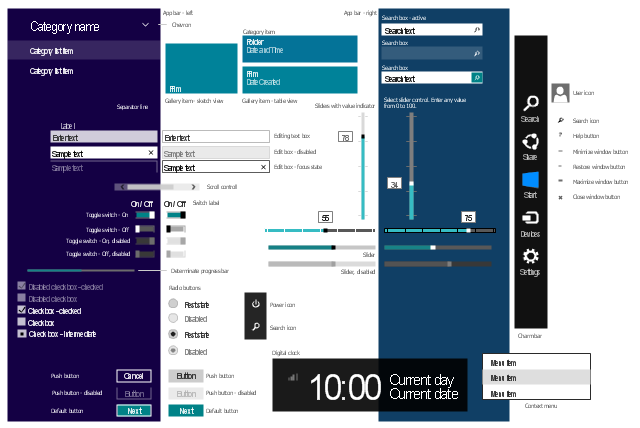 The vector stencils library "Windows 8 UI" contains 69 Windows 8 graphic user interface (GUI) elements. 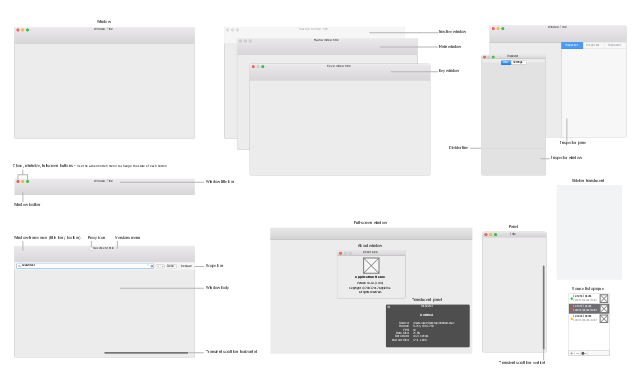 The vector stencils library "macOS Windows" contains 23 window elements. 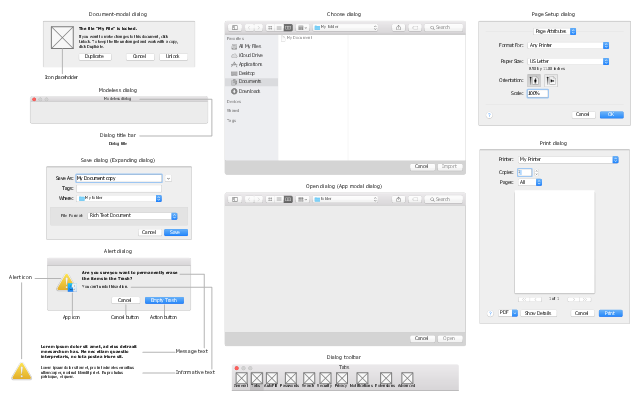 Use it for user interface design of your macOS applications with ConceptDraw PRO software. 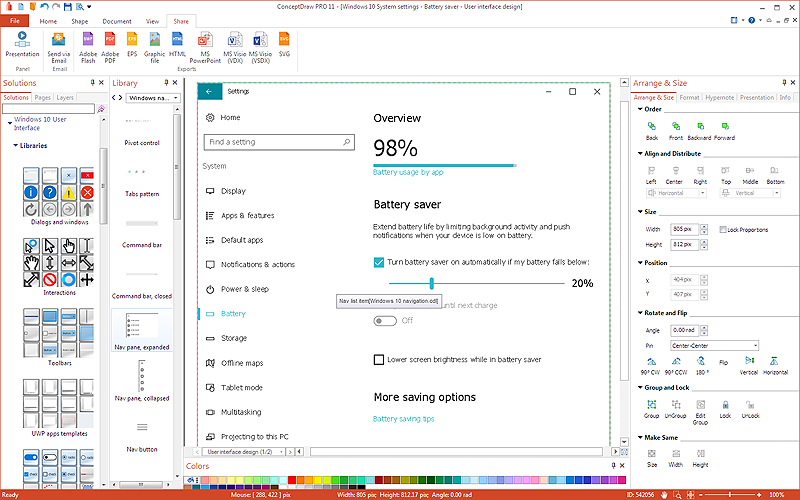 The window body can extend from the top edge of the window (that is, underneath the combined title bar/toolbar area) to the bottom edge of the window. 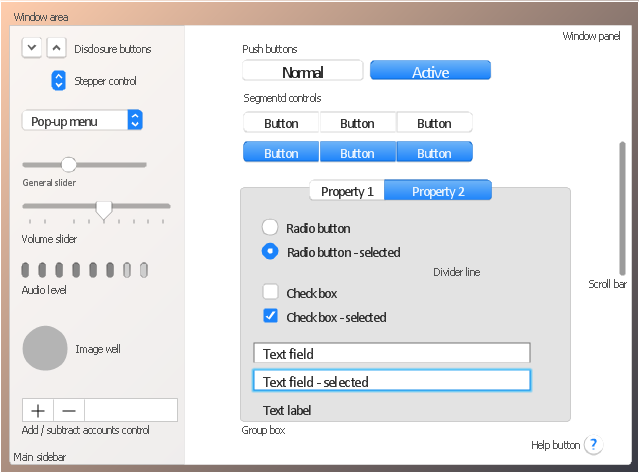 The vector stencils library "macOS Dialogs" contains 13 dialog window UI elements.
" 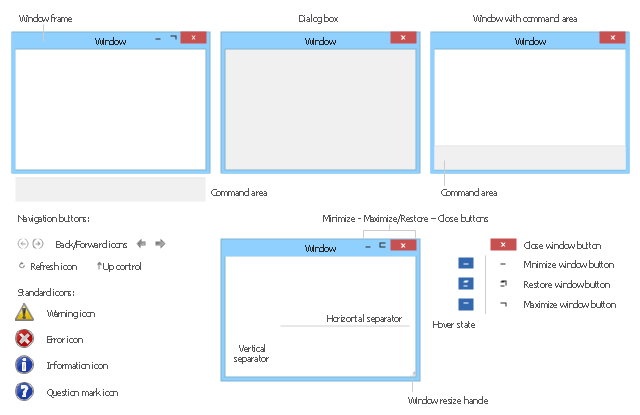 A dialog is a window that is designed to elicit a response from the user. 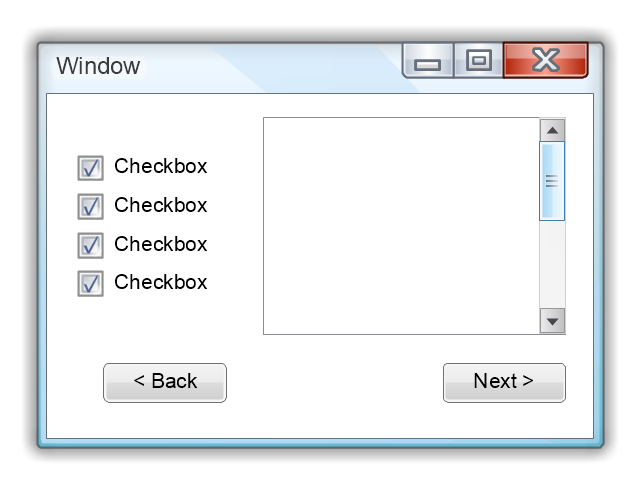 Many dialogs... allow users to provide several responses at one time.